For the past number of years, I have attended the Edinburgh Fringe Festival in August. It’s part of the world’s largest arts festival. So when I came across this small headstone in Coalisland graveyard I was intrigued to find that it had been erected by a woman from Edinburgh called Ella John. A bit of research revealed the story of this gravestone. Local historian Sammy McKay was able to relate that It is the resting place of Maggie Hughes from Coalisland who was a worker in Coalisland Weaving Factory. On the morning of the 28th December 1895, Maggie Hughes left her home on the Lineside in the darkness of early morning. Work in the factory started at 6.30am. Heavy rain the night before had caused the basin (a stretch of water at the end of the canal used to load, unload and turn the lighter barges that traveled the canal.) to overflow. It is believed that the young weaver, she was 22 years old, lost her bearings in the dark and fell into the flooded canal. It was only when she failed to return home at lunch time that a search was launched and she was found drowned a short distance from her house. Her childhood friend and former neighbor Ella John (a granddaughter of Coalisland Weaving Factory owner John Stevenson) had married and gone to live in Edinburgh. To mark the death of her friend she had a small headstone erected at her grave which is situated to the rear right-hand side of St Mary and St Joseph’s RC church in Brackaville Coalisland Co Tyrone. It’s usually a very bad sign when you start your reaction or review of a play by firstly talking about the set but in this case, it’s no reflection on the powerful performances of a solid cast that I start by saying that Vicki Mortimer’s set is spectacular. It is a vast rotating structure that leads us from rooms in the Dublin tenement of 1916 to the street and pub and back to the exterior of the building and eventually to the crumbling and battle ravaged interior again. The Abbey Theatre in Dublin revived “The Plough and The Stars” for the centenary of the Rising earlier this year but I didn’t get to see that production. So I was delighted to get to see this effort by the National Theatre on the banks of the Thames. Going to see a play in any of the theatre spaces at the National Theatre London is always an experience. Firstly the audience is made up of a peculiar demographic. For the most part elderly (getting there myself!) and terribly middle-class mixed with tourists from all corners of the world. They give the impression that they know their theatre. Famously this play caused the audience to riot at the Abbey Theatre in 1926 during its first production and saw WB Yeats berate them for having “disgraced themselves”. At the Lyttleton Theatre London ninety years later there was little chance of a riot. The cast did a good job with Stephen Kennedy as the bombastic Fluther one of the stand-out performances along with Lloyd Hutchinson as the National Forester uncle Peter, Gráinne Keenan as Rosie Redmond and Tom Vaughan-Lawlor as the Marxist Covey. The weaknesses in the production I thought was the relationship between Nora (Judith Roddy) and Jack Clitheroe (Fionn Walton). The key scene when Jack sings to Nora lacked the tenderness and intimacy needed to make the later scenes of Nora’s descent into despair and madness compelling. The final scenes did descend slightly into victorian melodrama most notably Bessie Burgess’s death which was about four minutes too long! There is an explosive moment in this production which caused one terribly refined national theatre goer sitting next to us to chuck her glass of rosé wine into her own face!! Very funny. Kierna and me at the Lyttleton Theatre. During 2012 I kept a daily Blog “It Occurred To Me” where I posted a photo a day for the full year. Ive decided to revive the blog but this time it will be a bit more episodic and will included video and podcasts as well as photos. 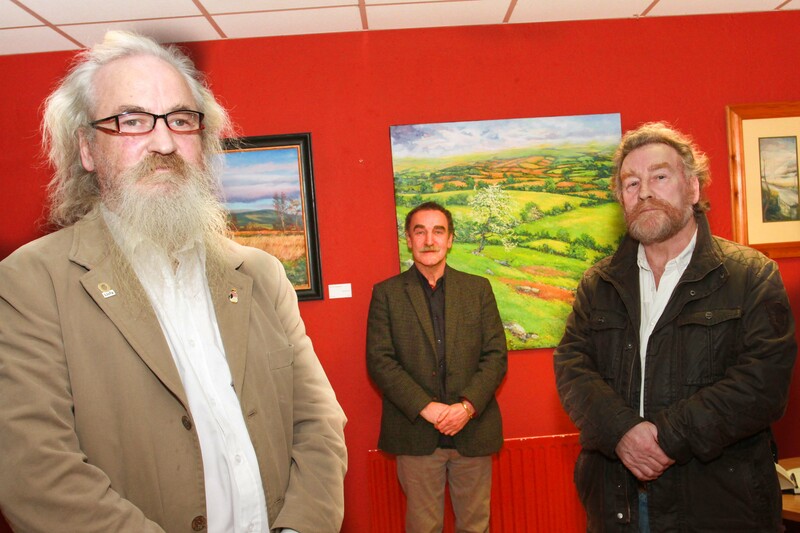 This is the McLarnon brothers Larry, Marty and Tony at the launch of an exhibition of their art work in the foyer of the Craic Theatre Coalisland. The exhibition will run for the next month. This is the artist Bill Gatt who made his first ever visit to Coalisland and The Craic Theatre to be present at the launch of an art exhibition by three local artists brothers Larry, Tony and Marty McLarnon. 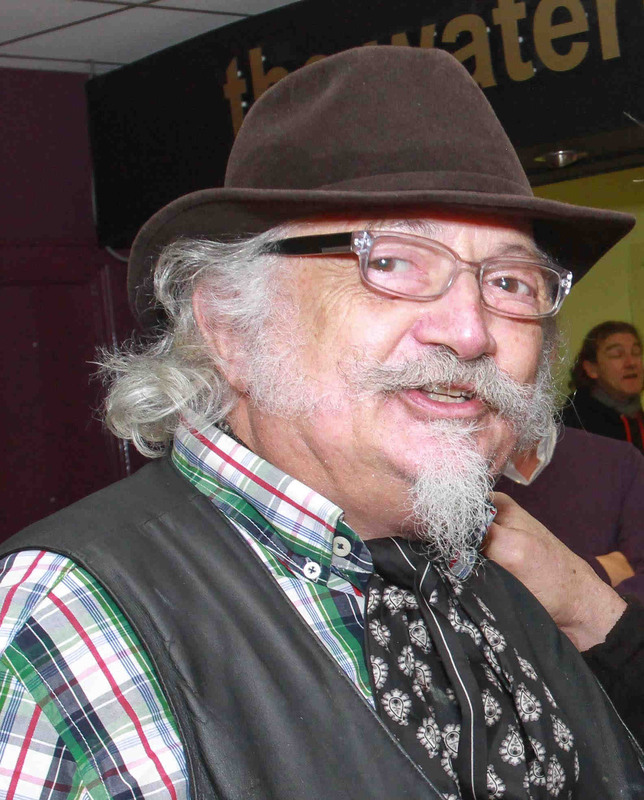 Bill Gatt is one of the county’s most recognisable artists, with his flamboyant style, love of life, great ability to enthuse and generosity of spirit he continues to enrich the lives of those he teaches and the visual arts scene in general. Over the years Bill has drawn and painted hundreds of works with subjects ranging from landscape and portraiture to the historical and religious; working in many different media including charcoal, oils, watercolour, acrylic, pastels, egg tempera and mixed media. Bill is particularly well known for his portraits. He very kindly sent me three of his iPad portraits of Diego Velázquez and Neil Shawcross in return for sending him a few photographs. This is Bray. We had great fun doing a studio portrait session. 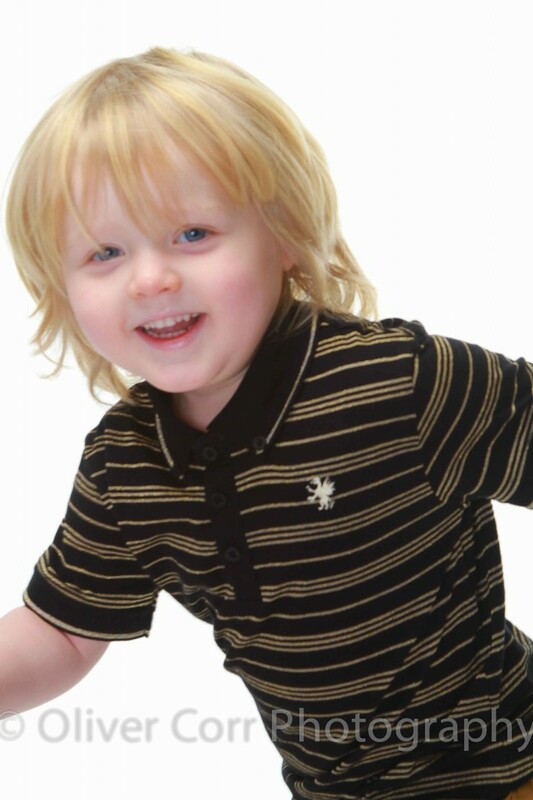 Bray is fully fluent in English and Estonian – and he’s only 3! 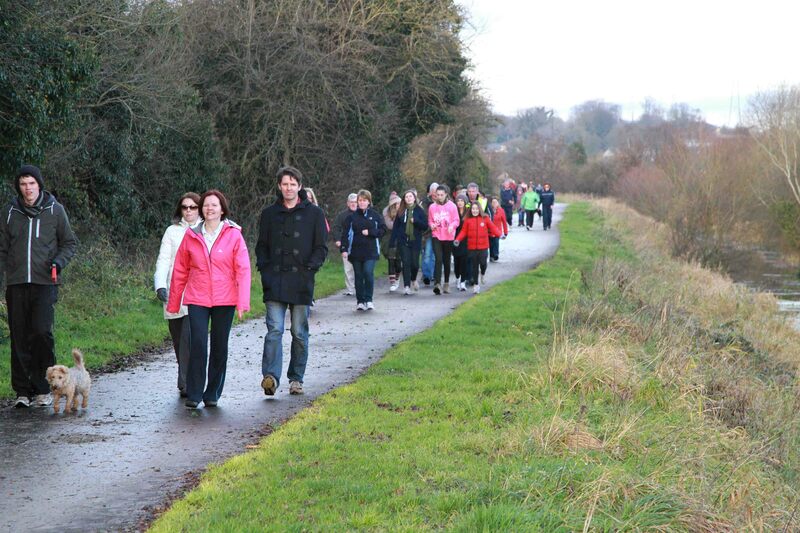 These are some locals walking the length of the remnants of The Coalisland Canal. The total distance of the canal walk is 4.5 miles beginning at the Cornmill in Coalisland town centre and reaching the Point where the canal feeds into the Blackwater River. It has three sections after about 1 mile walkers cross the Gortgonis Road at Macks bridge to access the second section of the walk. A further half mile along this pathway will lead to the busy Moor road at McAliskeys lock, once again you must cross this road to connect to the last part of the walk, the final 3miles will lead to the Reenaderry Road where the canal path ends , this is known as The Point where the canal meets the Blackwater river. The Canal was opened in 1789 to bring coal from Coalisland to Dublin via the River Blackwater, Lough Neagh and Newry Canal. Coalisland acted as an inland port with lighters carrying grain for the mills and provisions for the surrounding towns. Local campaigners have worked to try and preserve or reinstate the canal. This is Loughmallon near Carrickmore Co. Tyrone. Loughmallon is in the town lands of Creggandevesky and Sultin, County Tyrone. Creggandevesky, or Creggan Duibh Uisce, means ‘The Rock of the Black Water’. ‘The Rock’ might refer to the huge court tomb on the hill that overlooks the Lough, which is between 4,000 and 6,000 years old and was only excavated in 1979. This is Bun Bun the cherished toy belonging to our niece Catherine. We bought Bun Bun when Catherine was just a day old. That was almost 12 years ago. He’s a bit frayed around the edges these days (as am I!!) but still a much loved member of the Buckle family. The Ferry at Strangford and Portaferry.